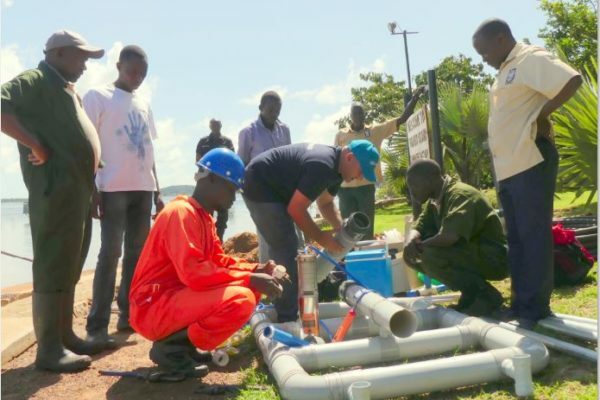 There are two research projects currently running at Ngamba Island by researchers from Max Planck Institute and the University of Warwick. Lou Marie Haux, from the University of Warwick, UK, is running a series of studies to establish how chimpanzees make economic decisions. Do they choose a safe reward or are they willing to take a risk and play the lottery to potentially double their winnings? Is this decision related to age? Sara, the youngest participant, has been very excited to play the lottery. The second project by Dr. Shona Duguid, also from the University of Warwick, is investigating how chimpanzees work together. her research question is “Can pairs of chimpanzees coordinate with each other for mutual benefit?” At the moment, they are learning about the task and Nani has been the surprise superstar. 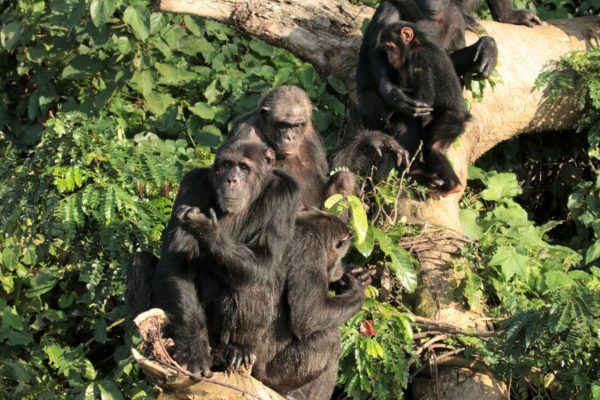 These research studies are very important in the field of conservation because it is through research that people get to know chimpanzee behavior and learn their social dynamics both in the captive and natural environment. Studying chimp behavior helps us better understand human behavior through a comparison of similar data. Understanding their behaviors enables the caregivers to easily manage the community and improve the chimpanzee welfare. Kyomuhendo Robert-Hoima district Inspect of schools and Nabirye Mutesi Josephine – Miss Earth Uganda handing over certificates to the quiz winners. 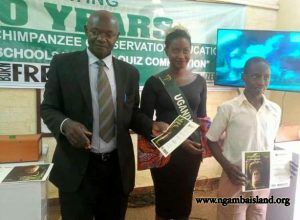 Seventeen schools participated in the first regional Schools’ Wildlife Quiz Competition at Glory Summit Hotel, in Hoima, on October 31st, 2018. The event was graced by officials from the Hoima District Local Government, partner agencies and the press. It was successfully concluded with St. Andrea Kaahwa taking the first spot for the Secondary section while St. Jude Primary School won the Primary section. 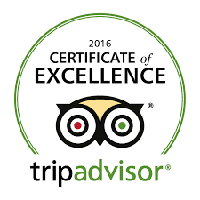 The winners will visit Ngamba Island Chimpanzee Sanctuary. “Schooling in Hoima is characterized by mainly on classwork. This makes school boring! Co-curricular activities such as quizzes make children more excited to attend school. I thank Chimpanzee Trust for bringing this to Hoima”, says Robert Kyomuhendo, the District Education Office representative. 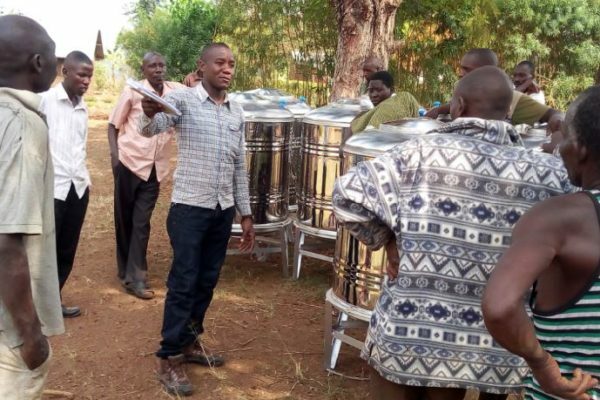 “This has been a successful, activity for all schools, engaging them as partners in increasing awareness of environmental conservation amongst the young generation. We are grateful to Born Free Foundation for funding this event.” Silver James Birungi, Education Officer of Chimpanzee Trust. 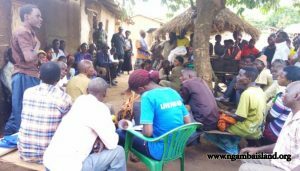 Under our “Piloting a Scalable PES Model to Conserve Bugoma Forest Ecosystem” project (Code 103689) funded by the Critical Ecosystem Partnership Fund, we have held meetings with communities living next to Bugoma Forest. In these meetings facilitated by a National Forest Authority Expert (NFA), we reviewed two Collaborative Forest Management Groups agreements with the aim of reviving the groups by attracting new members and ensuring implementation of what we agreed upon. Mugisa Paul the CFM Chairperson of Kaseeta noted that “We already have agreements for CFM with the National Forest Authority(NFA), however, we have not received the technical support and haven’t been active enough. 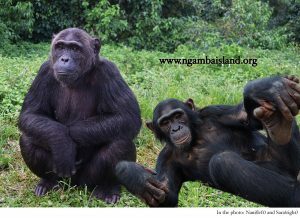 Support by Chimpanzee Trust shall reinforce the group and reactivate it”.